Getting great publicity for your new startup can feel like a catch-22. You need a concrete product to get publicity, and you need funding to create the product, but you also need publicity to get funding. What’s a savvy startup to do? Here are four ways to get the word out about your company that take a lot of wit but not a lot of dough, and the viral videos that inspired them. Remember the Youtube classic, “Charlie bit my finger”? Our goal is to get Charlie-level views on a Charlie-level budget. And the best way to do that is exactly like this video: through UGC. User Generated Content (UGC) is king in today’s personalized marketing world. Anything from reviews to photos to video content created by users counts as UGC, as long as it comes from customers rather than brands or marketers. Here are two Instagram posts by personalized fashion retailer Stitch Fix. 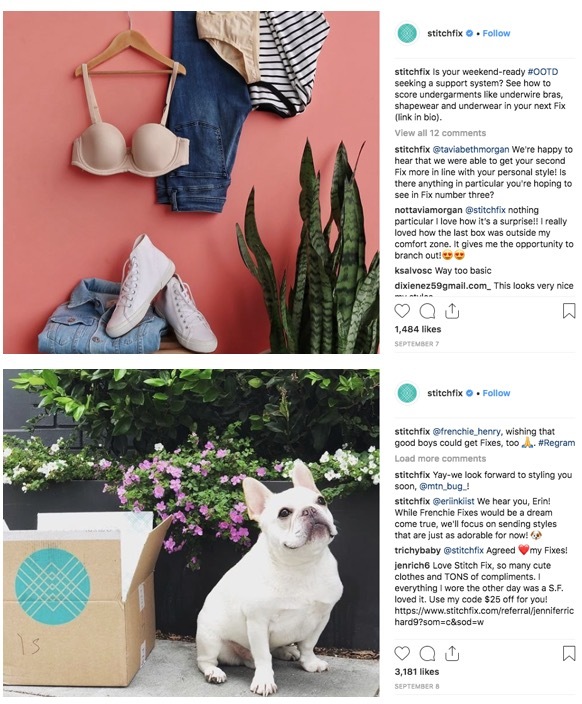 The first is a branded post, and the second is an organic post by a fan posing their adorable french bulldog next to their latest Stitch Fix delivery box. The brand post has 1,484 likes and 12 comments. The UGC post has 3,181 likes and 53 comments. That’s more than double the likes and more than 4x the comments! Surveyed millennials said UGC is trusted 50% more than information from other media sources, like news sources and TV. Did you get that? That one good post from a fan can mean more to today’s consumers than a mention on CNN? And UGC gets 10x more views on Youtube than branded content. Again, you don’t need to spend a ton on fancy videos, in fact statistically, you shouldn’t: 92% of consumers trust UGC more than traditional advertising. If you don’t believe the stats, look at this user-created unboxing video for a Play-Doh product with 876 million views! This kind of content is wildly popular and ranks high on Youtube’s most-watched videos… and branded content for the same products never does. Technically “Charlie bit my finger” is the most watched Youtube video that isn’t a song. But #2 is this Play-Doh video. For real. One great way to generate UGC is to host contests. Contests generate attention around your products and your name. Jones Soda holds an ongoing photography competition for its soda labels. Many organizations hold contests to name new products or discoveries, and that always generates a lot of buzz, even if it ends in an awkward or funny way. Users engage with the brand when entering and creating their submission. They further advertise the contest and brand on their own when they share it to get votes from their friends or show off their creation, and can even be more invested in purchasing the end project. 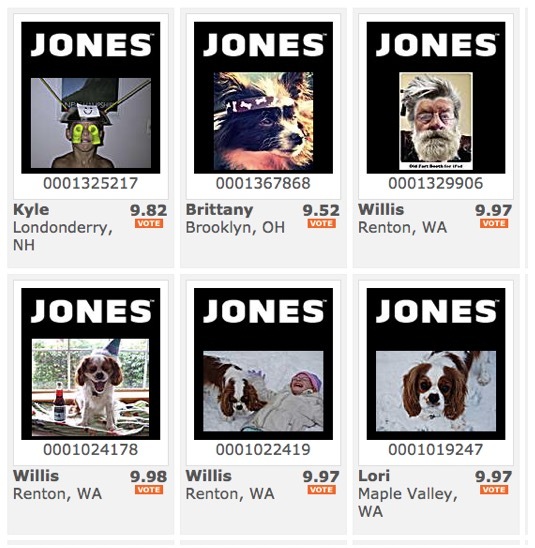 Everybody goes out to buy their flavor of Jones if their photo is on the label! Several cases, at that. At the end of the day, people love watching everyday Joes succeed. 300,000 people on Instagram watched this guy make an epic move in Jenga, for goodness sake. What can you challenge your fans to do with your product or service? Or forget skill, and go for funny. 1.6 million people watched this little girl experience Wasabi for the first time. What kind of content would your followers come up with if tasked to introduce your product to their little cherubs or pets? Influencers are turbo UGC. They have the UGC feeling of authenticity while also offering a pool of avid followers with whom they have a lot of emotional pull. In a recent study, 82% of those surveyed said they were “highly likely” to follow a micro-influencer’s recommendations. The same study found influencers were more effective than an average person making a recommendation on several metrics: credibility (94 vs 83%), knowledgeability (94 vs 84%), and ability to explain how a product works or use-cases (92 vs 83%). Furthermore, influencers can become natural brand evangelists: 77% say they’re more likely to buy from their sponsors. So you might pay an influencer to try out your product the first time, but if they love it, they can continue genuinely endorsing the product. Plus, influencers are much less expensive than other types of endorsements, and often can reach niche audiences that are perfect for your product that bigger names could not. 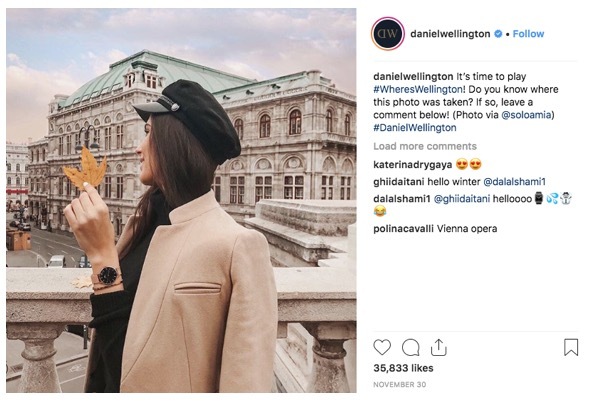 Just look at the story of Daniel Wellington watches, who rose from unknown to ubiquity by enlisting thousands of micro influencers to try out free watches and spread the word organically. Or remember all of those viral videos for the Ice Bucket challenge? Word travels fast when people you admire are the ones spreading it. Don’t get discouraged if you don’t have a huge marketing budget for your startup. Some of the most effective ways of reaching out to your ideal customers are the least expensive approaches possible. You’ve just got to speak to your target audience like peers, and give them the spotlight when they speak back to you. 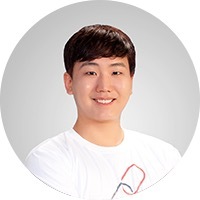 Guest article written by: Phoenix Choi is the CEO and Founder of South Korea-based Infleum. He is a self-taught online marketer and founder of ELSOLCOM, a leading brand publishing firm. ELSOL recently launched INFLEUM, a decentralized platform that connects startups to the right people in the brand publishing process. So, how does one go about becoming an influencer? Is it all just a matter of luck? It is baffling to me how some people who gain major popularity manage to get where they are. I’d love to know if someone has actually done a study of what helps someone to make the jump to influencer. Maybe Malcolm Gladwell.